Do you collect classic or modern cars? Then you could be interested in our bumper sticker! 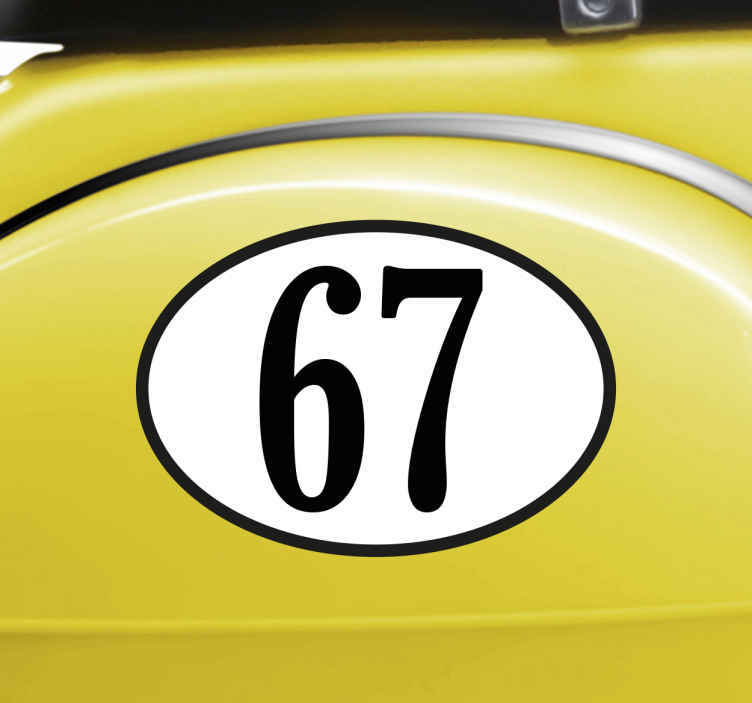 The adhesive film consists of a personalised number of your choice in an oval. The sticker is particularly suitable for decorating a car, but can generally be applied easily on all smooth surfaces. Give your car a personal touch!